Vulnerability. 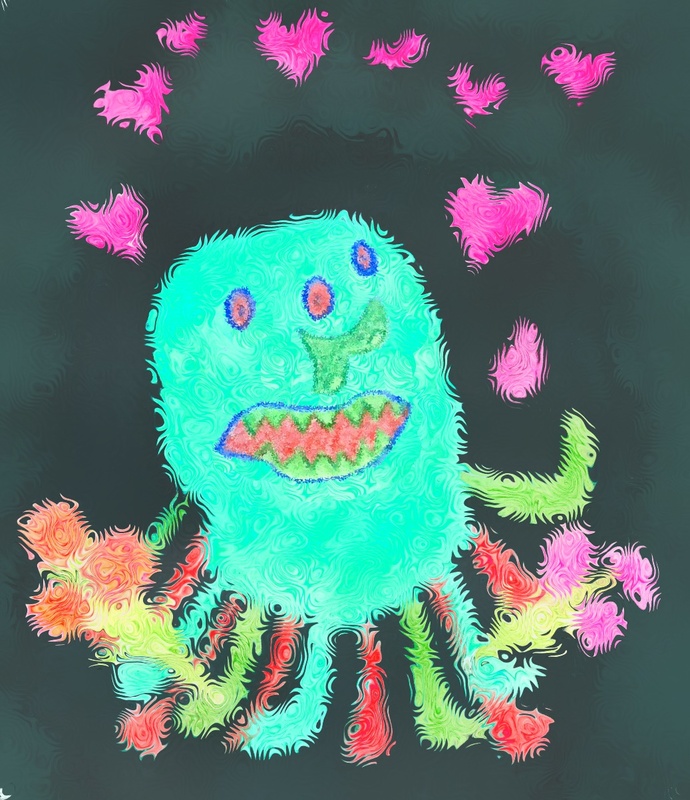 It’s a hairy, thirteen-legged, monstrous beast that bites through bone, eats eyeballs and twisted intestines, and is most happy playing hacky sack with the heart. A bit too dramatic or disgusting for you? Vulnerability. It’s a scary thing! No matter how deep or desperate our desire is to be known, we’ve learned from life that very scary things are bad and to be avoided at all costs. Self-preservation and protection takes priority. But what if we’re wrong? What if our sensitivities are skewed? Recently I’ve been reflecting on relationships and some specific circumstances in which I’ve seen relationships thrive or die. And I’ve come away with some (mostly personal) insights. Do you ever find it easier to advocate on the behalf of others, to negotiate for needs that are not your own? I do. In fact, I feel quite competent in this capacity. But then, when it comes to advocating on my own behalf, all my strengths and sensibilities seem to slip away. It’s a very scary thing to ask for something good for myself, for something I need or want. Why? Well, for me, expressing a need or desire is a vulnerable thing. It gives power to the other person. The power to reject the request, to disappoint, to deny. The power to control. The power to manipulate. The power to abuse or misuse. Knowing what a person needs, wants, or desires is knowing how and where to hurt them, to cause pain. Expressing a need or a desire gives power to another person. It gives them the power to provide, to grant the request, to satisfy, to comply. The power to serve. The power to guide, shape and nurture. The power to please. The power to equip. Knowing what a person needs, wants, or desires is knowing how and where to help and to heal. Vulnerability. What if the Very Scary Thing is actually a Great Good Thing? It’s a notion I’m just beginning to embrace. Any other insight to offer? Or experience to share? Jack Prelutsky joins Arnold Lobel on my list of Top Ten Creators of Children’s Literature. Prelutsky’s poetry is engaging and inventive, easily accessible and comprehensible without being dumbed down. His words are full of wit and wisdom. Oh, and did I mention, it’s poetry! 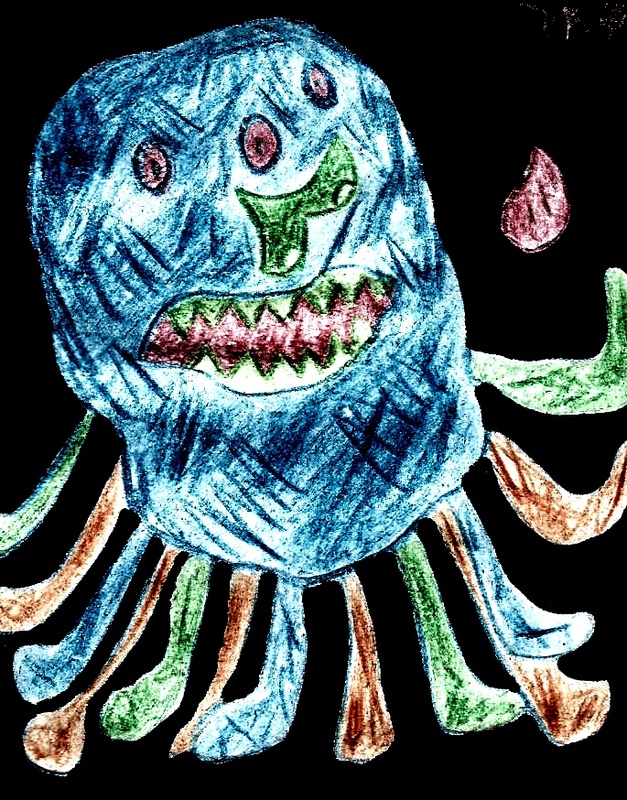 I have sensed fear–and a fair share of despair– among authors and educators that children’s poetry is going the way of the former planet Pluto. Let’s face it, how often do you see young boys gravitating toward a book of poems? Well, I say pull out the Prelutsky and get set for take off! There are two books in particular to recommend. 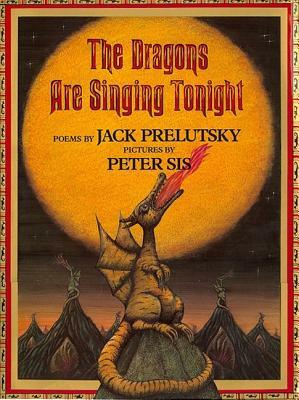 The first is The Dragons are Singing Tonight (illustrated by Peter Sis). The Dragons are Singing Tonight is one book, seventeen poems, and endless wonder. We have many favourites in this collection of poems about dragons, but our favourite favourite is I AM BOOM! When I roar roar roar! Remember, a reader contributes much to the experience of a story or poem. For instance, we discovered Boom’s thunderously loud voice that echoes as we read: I am Boom (BOOM!) the thunder dragon… Then, not much later, we discovered Boom’s teeny tiny voice. It has a slight lisp. The irony of an itty bitty voice with the thundering and electric phrases in the poem makes for much laughter. Have fun and enjoy your experience. 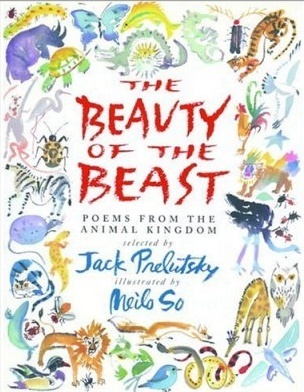 The second book, The Beauty of the Beast: Poems from the Animal Kingdom, is a substantial collection of poems selected by Jack Prelutsky and brilliantly illustrated by Meilo So. The contents are divided into five sections: In Trillions We Thrive; Jubilant, We Swim; Dragons in Minature; Hollow-Boned Singers and Wrapped in Coats of Fur. I love that we can turn to a page a read five poems on the antics of ants. Or turn to another, this time holding our breath in an underwater world of oysters, eels and octopodes. Or to yet another and discover that there are at least three others who know Crow as I know Crow. And hear the black crows talk. And watch crows sail the sky. That thinks the wind is fun. The top crow left behind. Crows caw that spring is near. When owls are out by day. Of crows for my goodnight. Reading through The Beauty of the Beast: Poems from the Animal Kingdom is like catching God in the act of creation and then God saying, Come join the fun! 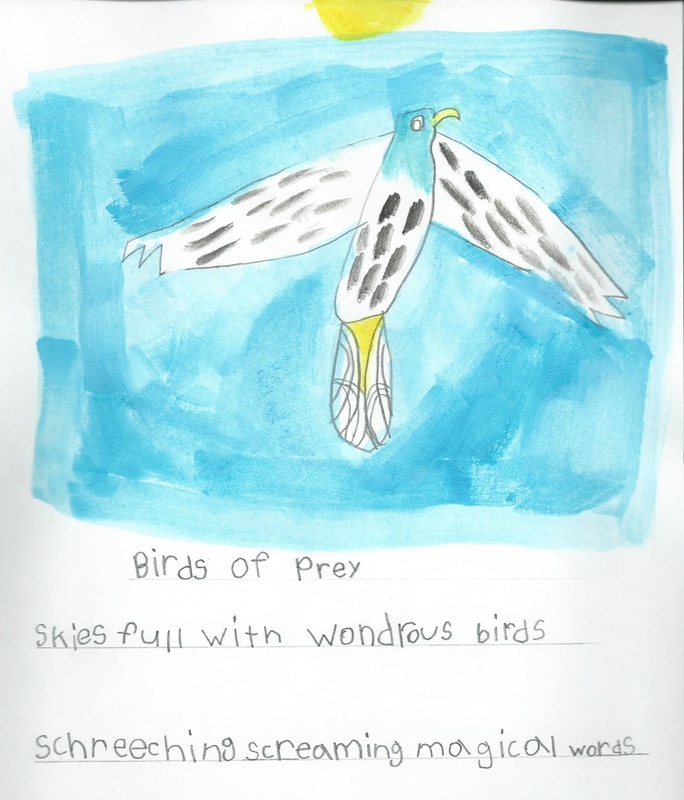 Check out more from Jack Prelutsky at his website. It’s stellar stuff! Now it’s your turn. What’s your favourite poem? Do you think children’s poetry is going the way of Pluto? Do you like crows? Why or why not? Symphony of the Soul by Sharon Cummings. Used by permission. It’s New Year’s day and my soul is a symphony… life doesn’t get any more orchestrated than during this time of year. But rather than dive into a discussion on resolutions or goal-setting, I want to share notes from 2013 that I’m carrying forward into 2014. Perhaps some of what’s resonating with me will also strike a chord with you. A credentialed individual recently counseled me with these words: 70 is the new 100. If you’re like me, and operate under a standard that expects no less than 110%, this will be hard to hear. How can lowering one’s expectations be a good thing? To be honest, my mind was reeling with a dozen other doubts and questions about the comment and I didn’t fully hear the response, but in essence it was “less is more.” Just imagine what you might accomplish or become when you’re free of the overwhelming pressures, performance anxieties, and the ever impossible perfectionism. Or, to bring it back to my symphony: with space to breathe, a note can be held longer and be made to ring more clear and true. What do you think? Can 70 be your new 100? Will you score closer to 100 than if you were aiming for 110? I’m good at beginnings, a great starter. I haven’t always been as good with endings, but that’s changing as time goes on. A part of what makes it easy to embrace a commitment to finish, though, is when you get a taste of an happy ecstatic ending. In Re-Creating Kokopelli I mentioned a short story that came out of the experience. Even though this story was one of the ‘easiest’ and most ‘inspired’ pieces I’ve written, I recall some crazy-making moments. Only a few paragraphs from the finish I wanted to walk away. How could I tame all the thoughts and ideas bouncing around and bashing on my brain? But I’m glad I kept going and pushed through the pain. It is finished and, oh, the euphoric joy! I’m so proud of this baby. You’ll likely hear more in the months to come. So, if this is my experience with ‘easy’ and ‘inspired’ writing, just imagine the cause to quit when the writing’s not working! I’m taking to heart a commitment to finish. How about you? Have you ever walked away? Are there any stories that need to come out of the drawer? Have you ever pushed through to the finish and how did you feel? Why would I tell myself that? Because I know how I am. I’m quality oriented; I want to get good, and I want to get good fast. Just like you. The thing is, growth is incremental; we hardly see it. In our mind it can seem like we’ll never get there. And that’s not an encouraging thought. Discouragement, nurtured, leads to depression, and depression leads to quitting. Once we quit, that kills all chances of ever getting good. Or whatever it is that’s on your heart to do. The reason you haven’t done it yet is because you haven’t started. And you haven’t started because you’ve made it too important. Too scary. Don’t you know the hardest step on a thousand-mile trek is the first one? The results of your labors won’t be grand for a long time. But they won’t be anything at all if you don’t start. So, whatever your art, whatever your contribution . . . to yourself or to others: Don’t worry about the masterpiece; that’ll come later, much later. For now, just get painting! Whatever happens, it’ll happen because of that. You’re likely familiar with this quote. If you’ve ever written an essay, a story, or a letter, you’re also likely familiar with the truth behind it– we discover what we think when we write. When we capture the chaotic thoughts and ideas that bounce around in our brains, when we wrap them in words, tame them, our thoughts become our own–readable, understandable, shareable. I write to discover what I’m capable of; I write to discover who I am, the state of my soul; I write to discover others, to learn empathy and compassion; I write to discover details, to learn words and meaning; I write to discover the story; and, mostly, I write to discover the Storyteller. It seems I have a lot more writing to do. How about you? Why do you write? What have you discovered? You have weaknesses. I have weaknesses. We certainly don’t need anyone to tell us of this fact–we know it already! And while our weaknesses may indicate a need for change, while they may spark a desire for change, they don’t help us create that change. That’s what our strengths are for– or so I’m told. I’m still in the process of figuring it all out. You have strengths. Do you know what they are? I have strengths. I know some of them. I’m about to pay attention and discover what the others might be. Going forward, as you resolve to make changes– to finish your novel, get in shape, be happier or more kind to others, to run a marathon, get out of debt or fix a relationship– don’t focus on weaknesses. Don’t ignore them, but don’t give them the last say. Let your strengths do some talking. Know your strengths and you’ll know change. All the best to you in the New Year! I leave you with Prokofiev’s Peter and the Wolf–a stunning symphony where every character is represented by its own instrument.